Island MMA Teaches Two Forms of Self-Defense: One is physical – your child will improve his or her strength, flexibility, athleticism and overall health. Additionally, your child will learn to defend themselves with effectiveness. Hopefully, your child will never be picked on or need these skills but should the occasion arise, shouldn’t everyone know how to protect themselvesThe second form of self-defense karate teaches is internal. Children learn to spot danger and avoid dangerous people, places and activities. Island MMA can help your child avoid the need for a physical confrontation. This second form of self-defense is perhaps the most valuable of two. 1. Focus/Concentration- your child will learn how to focus all of their attention to the task at hand while committing themselves to learning and growing. 2. Perseverance/Teamwork- your child will learn how to face challenges presented to them, knowing that the challenges will be difficult to complete. They will learn how to face challenges alone and with peers. 3. Courage/ Balance- your child will learn how to overcome fear and nervousness through training that initially seems intimidating. 4. 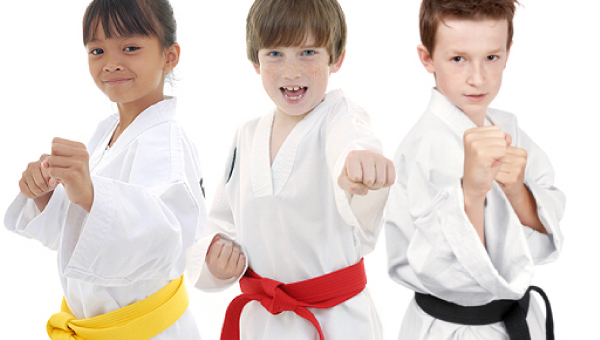 Discipline/Intensity- your child will learn how to perform their martial arts skills with strong effort and attitude. 5. Coordination/Speed- your child will learn the components of speed and how to control their balance, body posture, and technique. 6. Fitness/Agility- your child will learn the mechanics that govern movement and how it plays a role when they are jumping, dodging, and moving about quickly. 7. Control/Technique- your child will learn the fundamental components of good technique, which will make them great athletes. 8. Memory- your child will enhance their memory through fun and educational drills. Complete education of these 8 skills will help your child be the best they possibly can be at their age of development. They will advance to the top of their age group while they learn and have fun. You and your child will not regret the adventure you are about to undertake.